The very first thing that catches one's eyes after entering the venue is an almost 15 feet long and six feet wide, big and bold beast,taking the centerstage. I couldn't get my eyes off the car for sometime and to have a closer look I got myself checked-in first at the Indiblogger desk followed by TATA Motors desk quickly and rushed towards the centre stage. 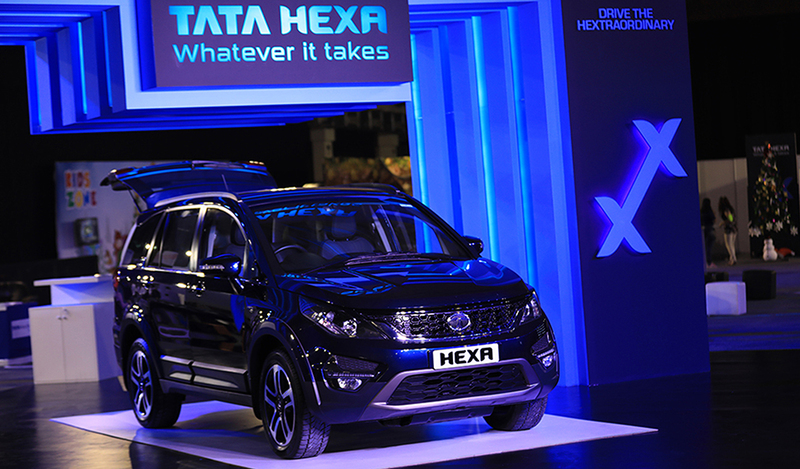 At first glance TATA HEXA looks grand and majestic a complete beast in itself. After admiring HEXA's musular exterior and elegant interior for more than 3O minutes finally I decided to explore the entire area.With a band performing some soulful numbers live on the stage , kids having a blast in a specially created fun-zone and with food joints the atmosphere around had a festive feeling in itself. 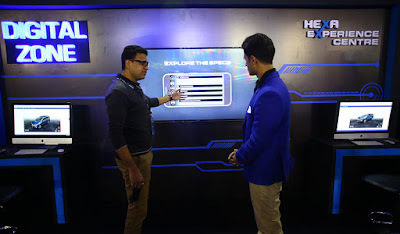 The next stop was the “DIGITAL ZONE” which offered a 360 degree view of the car inside out including all the features just by sitting on a computer and also Tata has launched “Tata Hexa” app with which anyone can see all feature on their phone. One can see specification of everything from minor to major related to car and also can operate those to see how it works. TATA made sure that one do not misses out on the minute details of the car so along with 360 degree view there were many co-ordinaters present who gave us a brief of almost everything that car had. 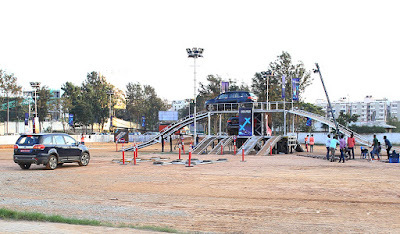 The event had different Tata Unit stalls like Croma,Tata Motor Finance, Tata Value Homes but one that stand out was the pet adoption zone by the C.A.R.E Foundation.It was a great initiative taken by TATA Motors and more can be learnt about C.A.R.E Foundation here. Its Show time!!! The most anticipated part of the event was to ride THE BEAST itself.With no faith over my driving skill I preferred to witness the thrill being a spectator not from outside but inside.The OFF-TRACK looked adventureous loaded with miracle-hurdles like inclines, declines, side slopes, axle twisters and alternate rumbles. With this amout of barrier I expected the ride to be somewhat bumpier but to my my astonishment it was as smooth as it could getf and this my friend gives an exact idea how comfortbale HEXA is. 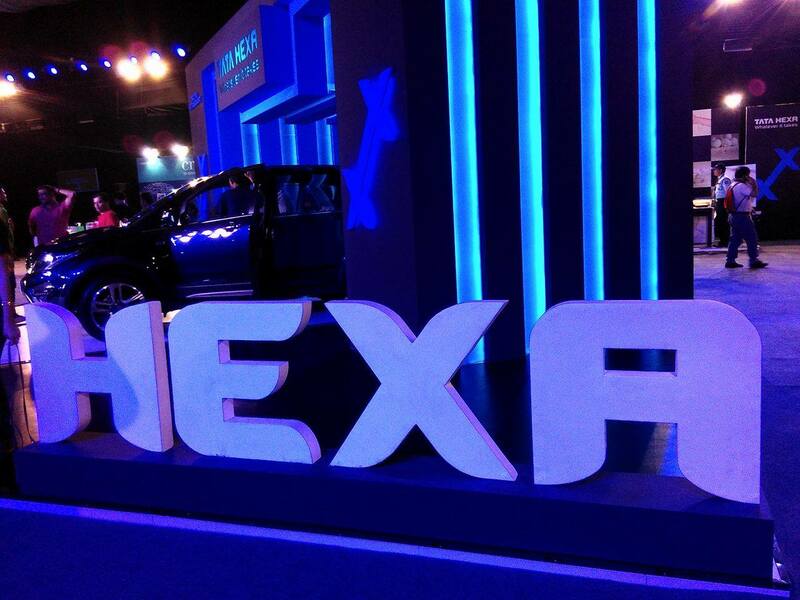 Do watch the video to know more about HEXA’s off-road capabilities. I don't have much technical idea about cars but for me TATA HEXA is a winner and will give the likes of Scorpio,Brezza a run for money. 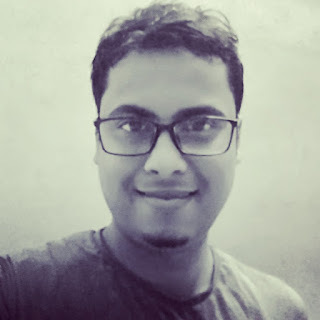 TATA is one company that along with its rich legacy thrives with Trust and Quality,the salt to software conglomerate has always delivered par excellence and TATA Motors is not keeping any stone unturn by taking the legacy ahead. 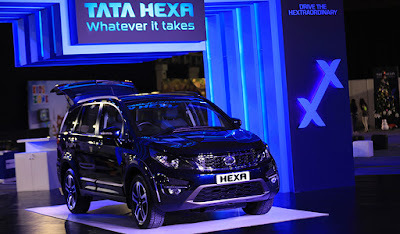 Over last few years TATA Motors has grown tremendously be with the acquisition of the iconic Jaguar-Land Rover or appointing Lionel Messi as the brand ambassador TATA Tiago. 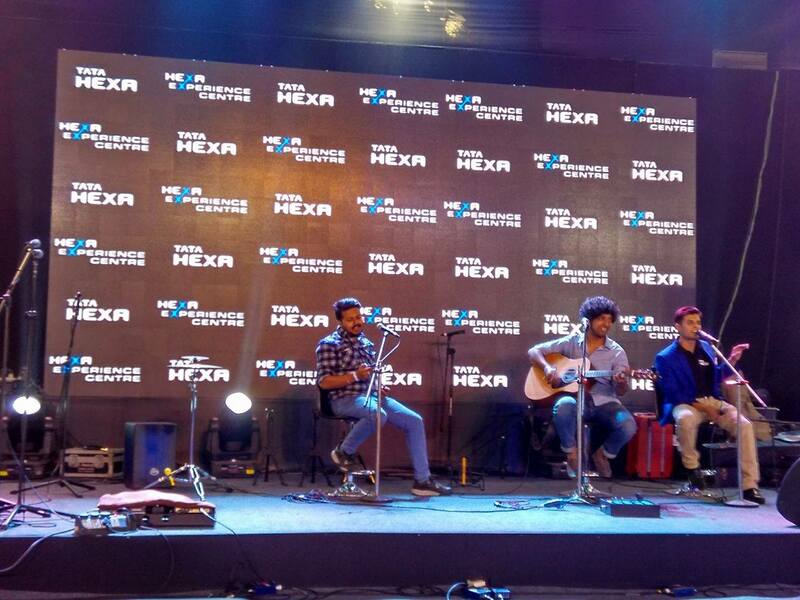 When something new comes out from a company of such stature its sure to make Buzz and TATA HEXA obliges to it. One can get all the information regrading TATA HEXA and even withness the HEXAEXPERINCE over their device here http://hexa.tatamotors.com/ .